Jane Doe was discovered at approximately 6:15 in the morning on the edge of a cornfield on 92nd Street between Six-Mile Road and Seven-Mile Road in the town of Raymond, Wisconsin. When Jane Doe was found, her face was recognizable. This indicated to law enforcement that her remains were not outside or exposed to the elements for very long. It had rained the night Jane Doe was dumped on the side of the road washing away any potential evidence left by the person responsible. It was clear Jane Doe’s death was the result of a homicide and that the crime had been committed in a different location. Jane Doe was discovered near Interstate 94 meaning the individual who discarded this poor girl could’ve come from anywhere. Once Jane Doe’s remains were collected, they were sent to the local medical examiner who performed an autopsy. It was determined Jane Doe was age 18 – 30 but some believe she could be as young as 13 years old. She died as a result of multiple injuries that include burnings, beatings, and sexual abuse. It was apparent she had suffered weeks if not a lifetime of torture. Authorities believe the trauma she endured increased in the week leading up to her death. She showed signs of being malnourished. Her nose was fractured and she had multiple cuts and bruises on her body along with healed scars on her shins. Jane Doe had a deformity that is known as ‘cauliflower ear’ on her right ear. This was most likely the result of a recent injury. The most devastating finding, Jane Doe was most likely cognitively disabled as she appeared to have a small brain cavity in the skull. Jane Doe was a white female, approximately 5’8 and weighed 120 lbs. She had Reddish-brown hair which was short and wavy. She had brown, hazel, or green eyes. Jane Doe had very large front teeth which were described as ‘protruding’ and not well cared for. Decay was present on many and some were missing. 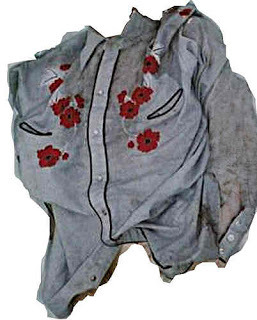 When Jane Doe was discovered, she was wearing a men’s grey-country shirt with embroidered red flowers on the front and snap buttons. The manufacturer of the shirt, Karman, said it was mass produced and distributed throughout the United States in 1984. (15 years prior to Jane Doe’s discovery.) She was also wearing black sweatpants. She did not have shoes or socks on or around her at the time of discovery. Jane Doe did have double pierced ears but was not wearing earrings. The shirt the Racine County Jane Doe was wearing when her remains were discovered. The community was saddened by the discovery of this young Jane Doe who had endured so much. Over 50 people attended her funeral. Her gravestone reads “Daughter: Jane Doe.” After she was laid to rest the community and Law Enforcement’s focus shifted to capturing the monster responsible. Multiple facial reconstruction have been created and distributed to the public in hopes of someone recognizing Jane Doe. The most recent image was created by the National Center for Missing and Exploited Children in 2012 and shows two different facial expressions. On October 16th 2013, Jane Doe was exhumed from her resting place and her remains were sent to The Milwaukee County Medical Examiner’s office. A Forensic Anthropologist from Tennessee was called in to preform Chemical Isotope testing. This test measures the natural variations in a body and helps determine were a person has spent significant time throughout their life. This specific test was performed on a section of Jane Does bone along with a sample of her hair to ensure the results were conclusive. The results came back stating Jane Doe was originally from or spent several years of her life in Alaska, Montana, or even some Southern Canada Provinces. In a recent interview, the Sheriff of Racine County, Christopher Schmaling, explained he is amazed with the emerging use of genealogy in police investigations. He specifically referenced the Golden State Killer who was captured in April of 2018 after his DNA was submitted to a genealogy site and a distant relative was identified. Schmaling expressed an interest in submitting Jane Doe’s DNA in hopes of finally identifying her. He explained there are some legal concerns in doing this as they would have to lie and say the DNA is their own. Because of this, the Sheriff’s office is working closely with the DA’s office and a team of lawyers. They believe identifying Jane Doe will lead to the person responsible for her death. Authorities do not want to lose the case in court due to the legal ramifications of how Jane Doe was identified. Sheriff Schmaling stated if they get the go-ahead, he is hopeful to use this technique in other Doe cases in the state of Wisconsin as well. Many missing females have been ruled out as possible matches based on Jane Doe’s dental records, fingerprints, and DNA which are on file and routinely checked against various missing person cases. A once thought to be promising match was Aundria Bowman who ran-away from her adoptive parents in Hamilton Michigan on March 11th 1989. Her biological mother was eventually tracked down and willing provided a DNA sample proving the two women are not one in the same. Others who have been ruled out include Tina D’ambrosio and Karen Wells. One theory is, as Jane Doe appeared to be mentally disabled she may have been seen as a burden by her caretakers. It is a sad but realistic truth that has occurred before, in fact there is an entire website dedicated to disabled individuals who were murdered by their caretaker. Another theory is again, because she appeared to be mentally disabled, she may have been seen as an easy target to a predator. Another Jane Doe was discovered in Lake County, Illinois on December 9th 1999, a mere 4 and 1/2 months after the Racine County Jane Doe was discovered. She was also mentally disabled, malnourished and had been beaten to death. Her teeth were also not well cared for. She was eventually identified in 2006 as being Mary Kate Sunderlin who went missing September 4th 1999. Many believe there is a strong connection between the two murders. The victims were discovered across state lines but only 30 miles apart. If the same predator is responsible for both crimes, that gives the individual a window of just over a month between victims. Three individuals were arrested and one convicted in connection to Mary Kate’s murder but new information regarding her time of death has exonerated the men. 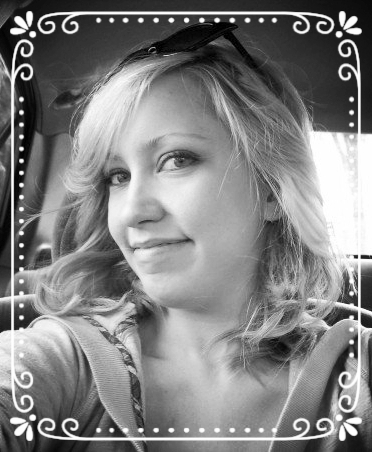 Mary Kate Sunderlin’s murder remains unsolved.